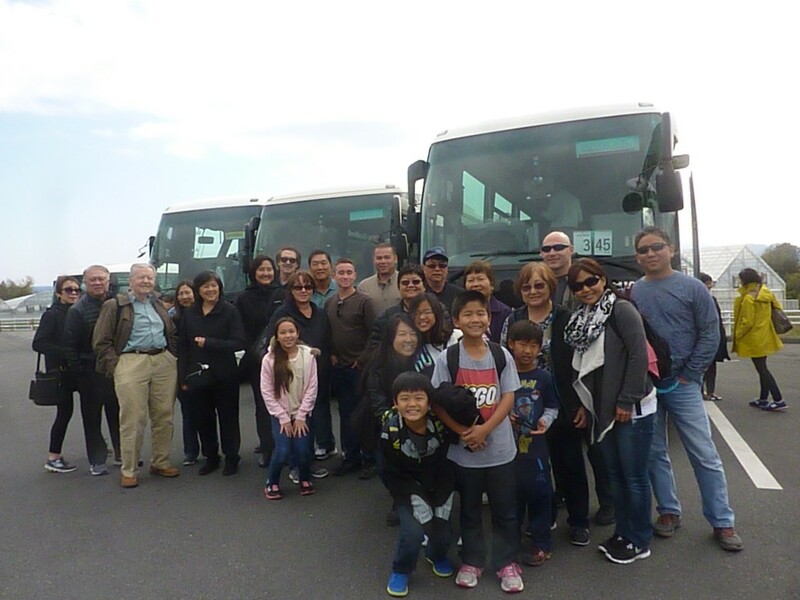 Day 1&2: A total of 21 people met at Honolulu Airport around 10:30 am. The airport was unbelievably busy with so many tourists going to places during Spring Break. After extra long lines at the JAL check-in counter and the security check point, we could finally reach inside the airport around 12:30 pm. After about 9 hours of a long flight to Kansai Airport, we encountered another long line at the immigration in Osaka. It took another hour to get to Kyoto from Osaka. 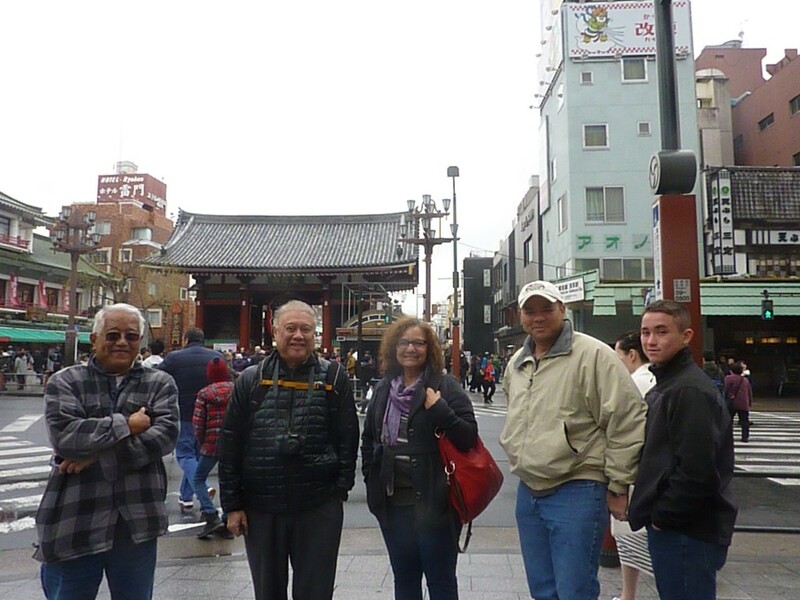 I believe everyone was very exhausted by the time we got to our hotel, New Miyako Hotel, in Kyoto. Day 3: 10 people who left before us joined the group today. Although the forecast today was raining, when we got to the Kiyomizu Temple, our first stop of the day, we could see the sun peaking out from the clouds periodically. We were about one to two weeks early to see the cherry blossoms, but we could see one or two cherry trees with flowers that bloom during the winter time. It was amazing to find that there are about 60 different types of cherry trees exist in the world. 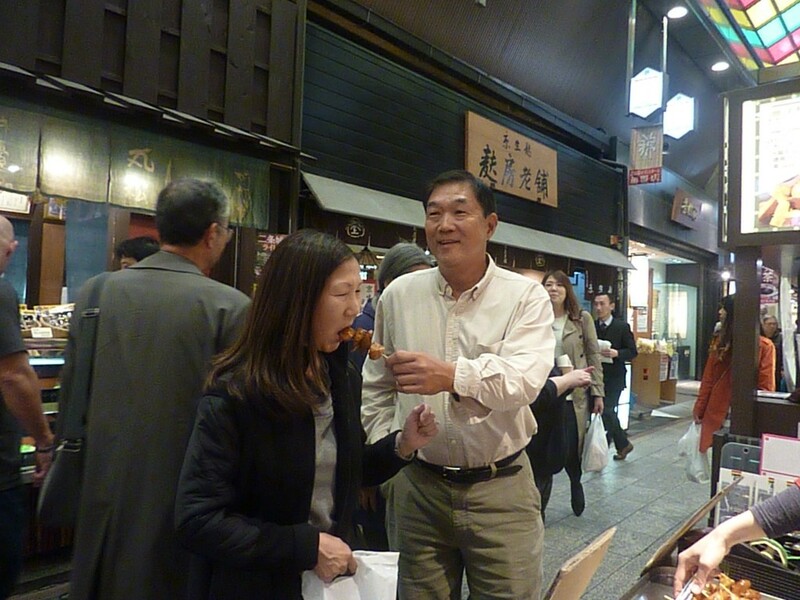 There were many shopping and eating areas surrounding the Kiyomizu Temple, so we had time to stroll many narrow streets lined with shops such as Ninen Zaka, and Sannen Zaka. We also had lunch there. Next, we learned how to make Yatsuhashi, Kyoto’s specialty cookies. 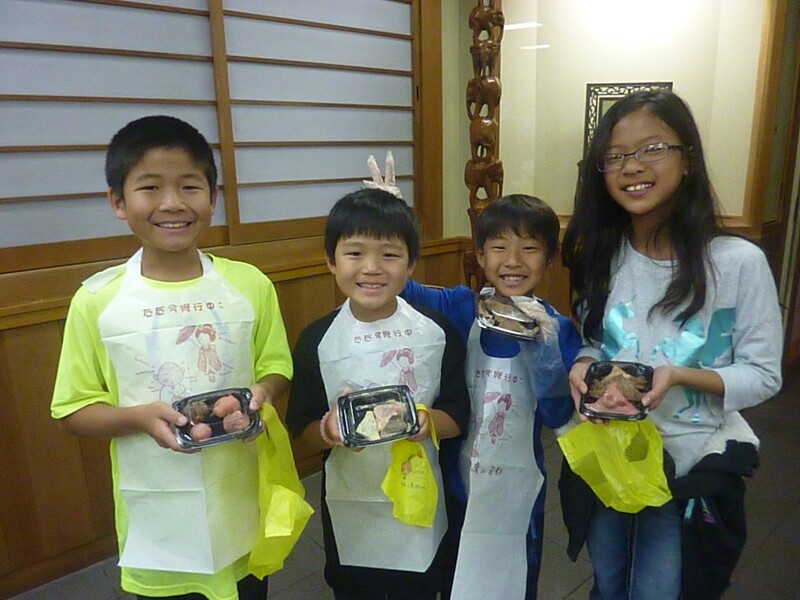 Both adult and children seemed to have a great time making three tastes of Yatsuhashi; strawberry, chocolate, and black beans. We were all satisfied with our final products. 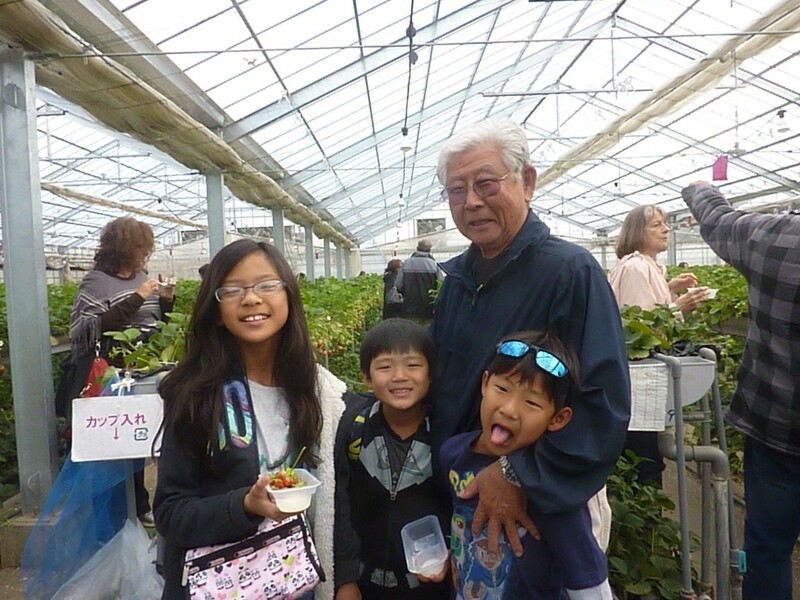 Visiting a Uji tea factory called Marukyu Koyamaen was very educational. We learned the different processing techniques of Matcha (powdered green tea) from the other types of teas. 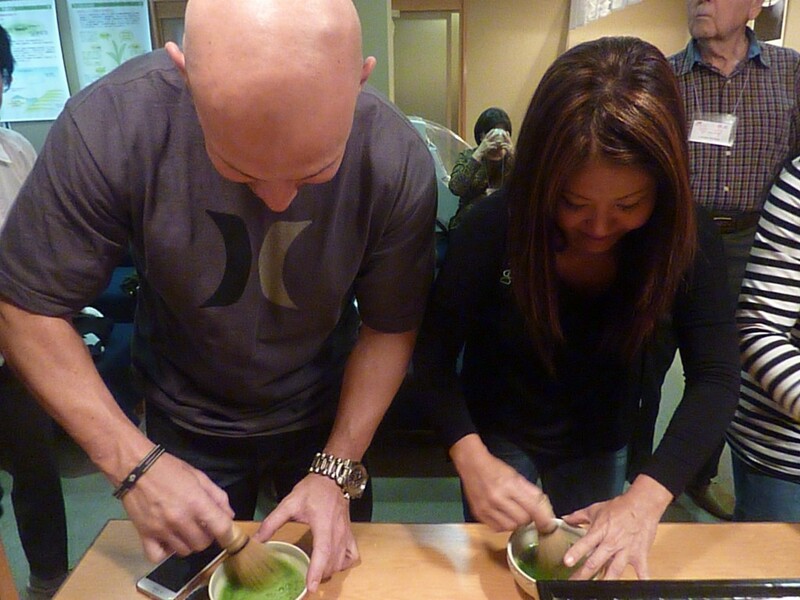 We could also experience making a bowl of matcha tea and could sample our own tea with sweet dango. It was good but not all of the group members liked the taste of Matcha. 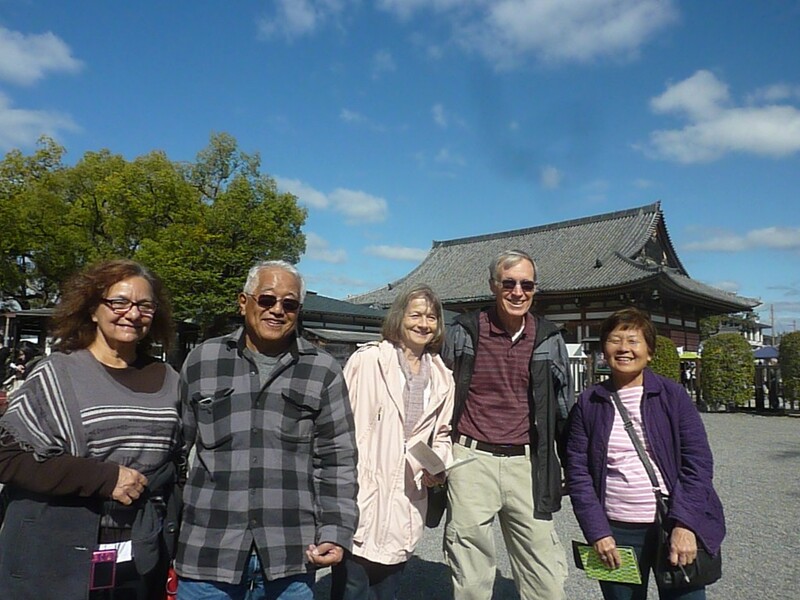 After a sumptuous buffet dinner at the Granvia Kyoto Hotel, we headed out to see the light-up shows at the Kodaiji Temple. It started drizzling a bit but the light-up show was beautiful. 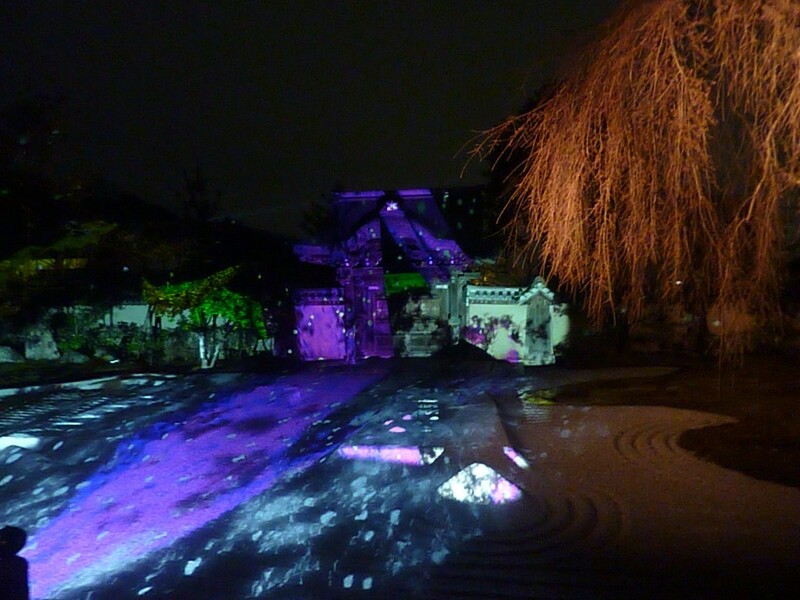 The temple and its garden were illuminated with different lights and they had created a fantasy land. The projection mapping at one of the temple facilities was fantastic! It was an action packed day! 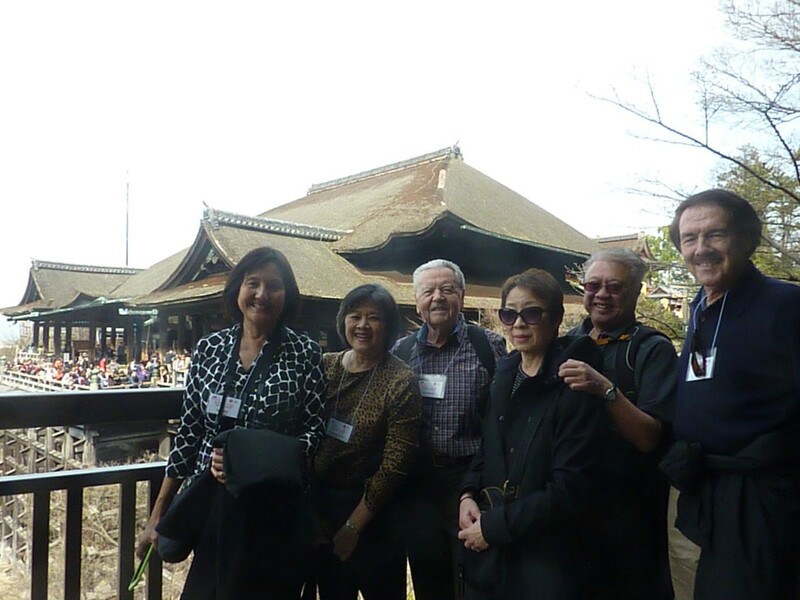 Day 4: We woke up early to go to Nara, an ancient city famous for Nara’s Daibutsu. Unfortunately, it was drizzling a bit and very cold. 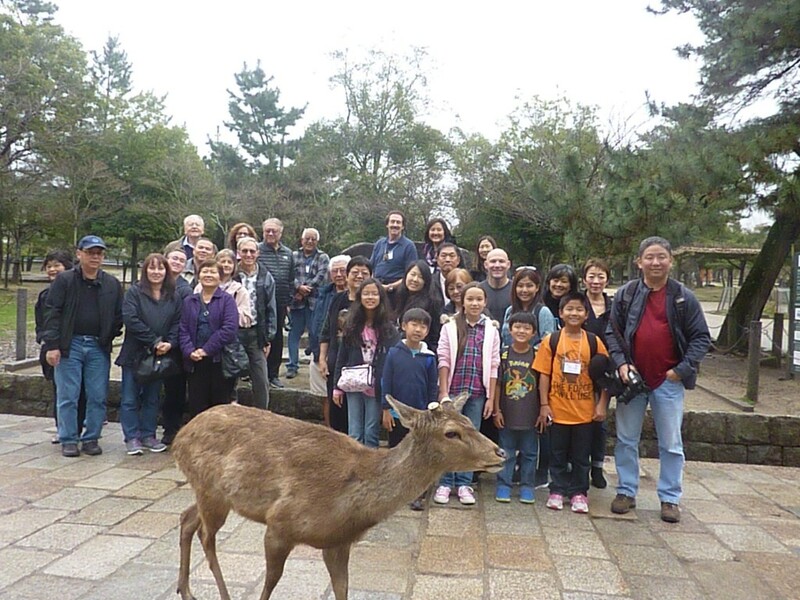 There were hundreds of deer near the temple compound. 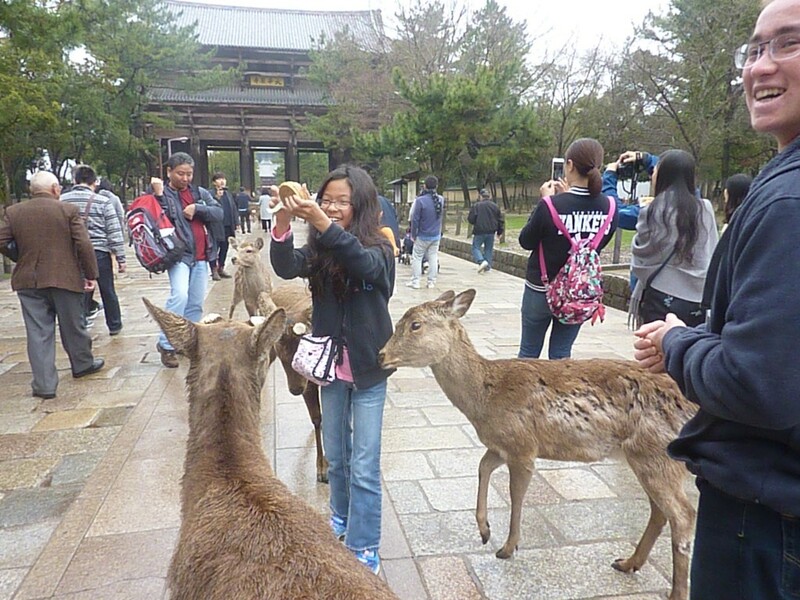 Everyone seemed excited to feed the deer. 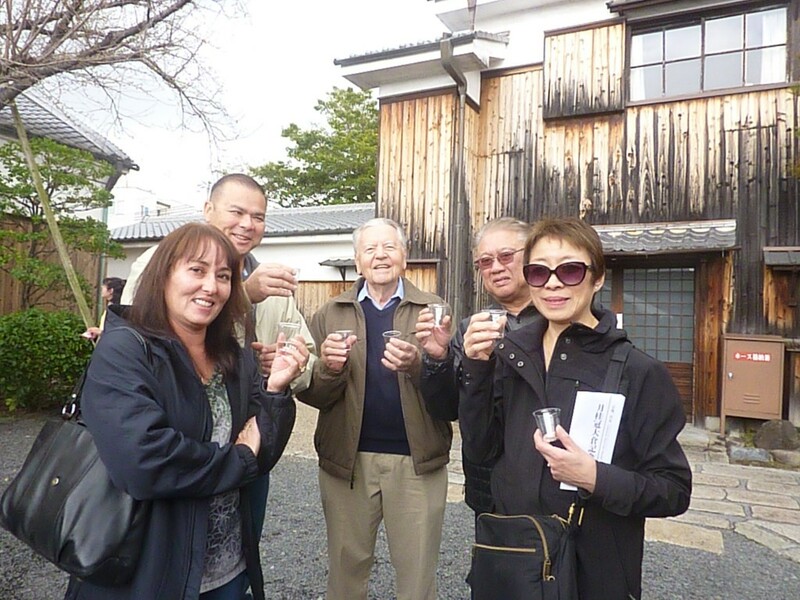 We then went to visit Fushimi Sake Factory where you could sample different sakes. 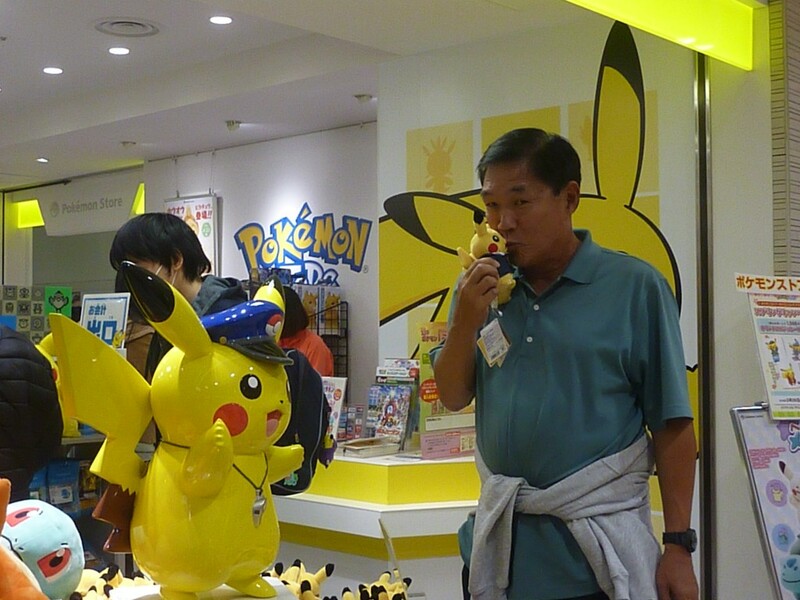 Luckily, they were having a promotion of two special sakes. We could taste extra sakes! 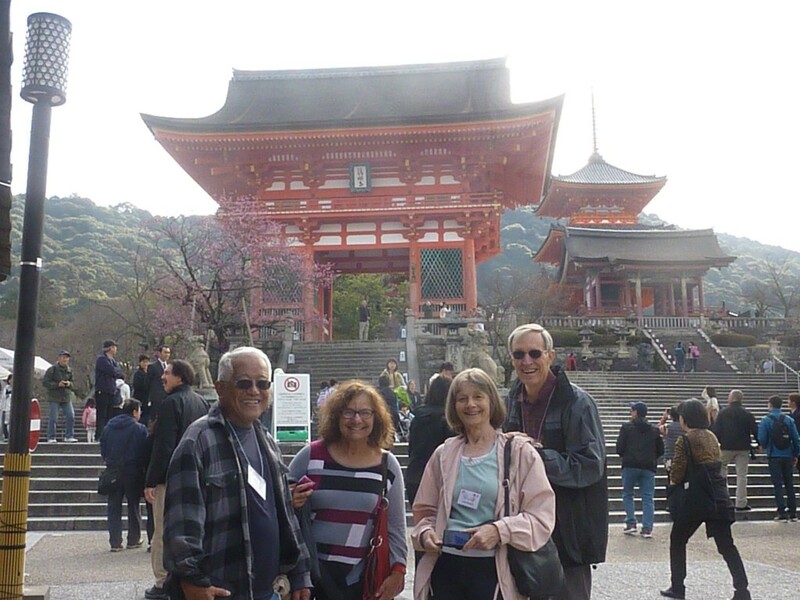 Another surprise at this place, Fushimi, was that we could observe full cherry blossoms. 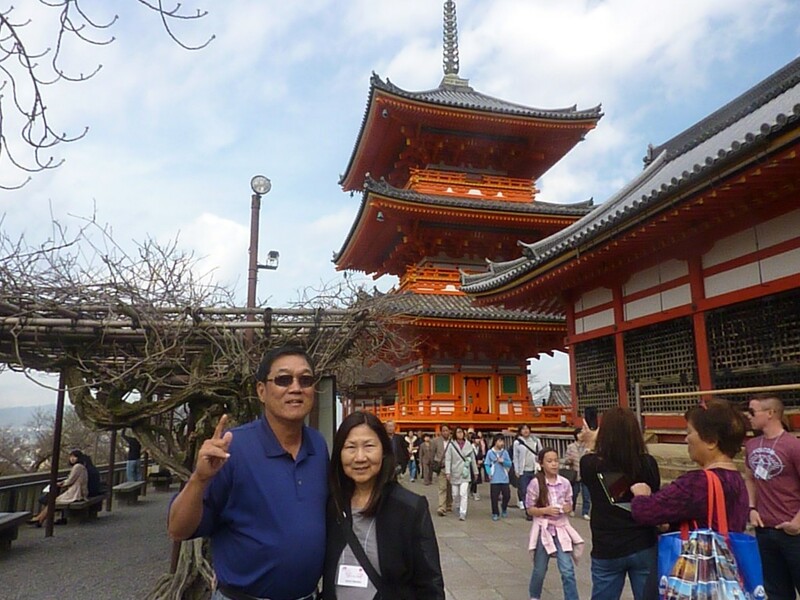 For the first timers to Japan, it was a wow moment. 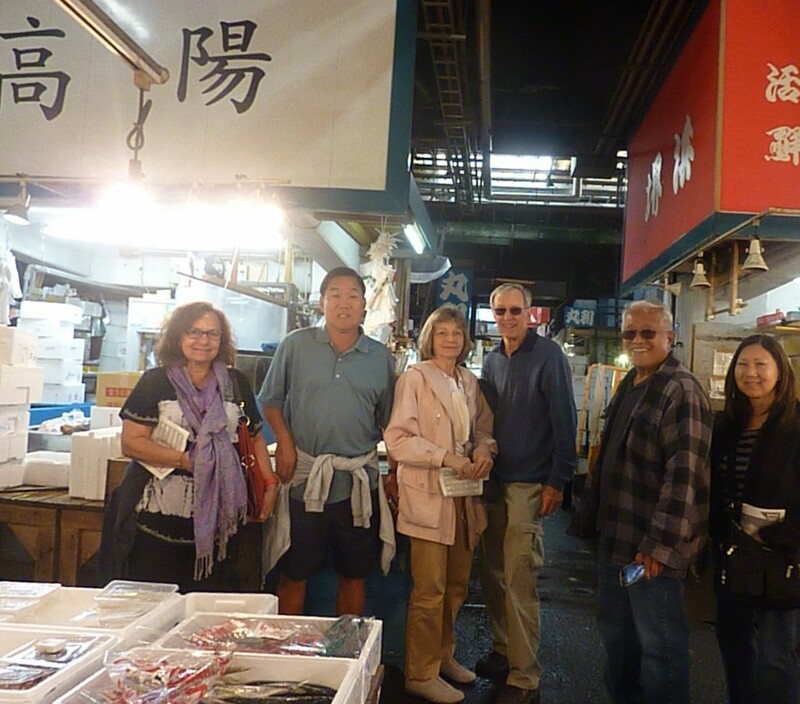 Our last stop was at Nishiki Market. 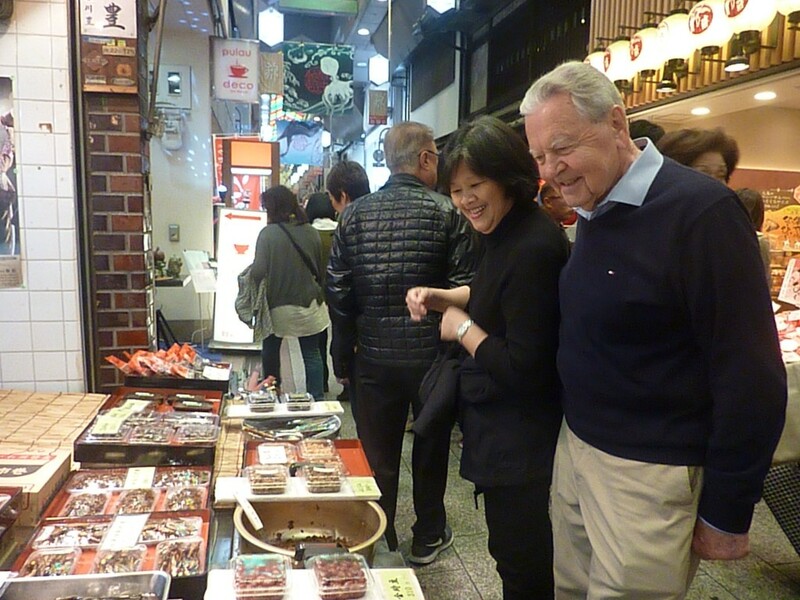 The narrow street was lined with shops selling fresh produce, Japanese confectionaries, and souvenirs. It was packed with tourists and the locals. Next to our hotel, there was a big AEON Mall with many places to eat and to shop including Daiso, a dollar store, and UNIQLO. Everyone seemed to enjoy shopping at the dollar store. Day 5: The weather was nice but very cold. 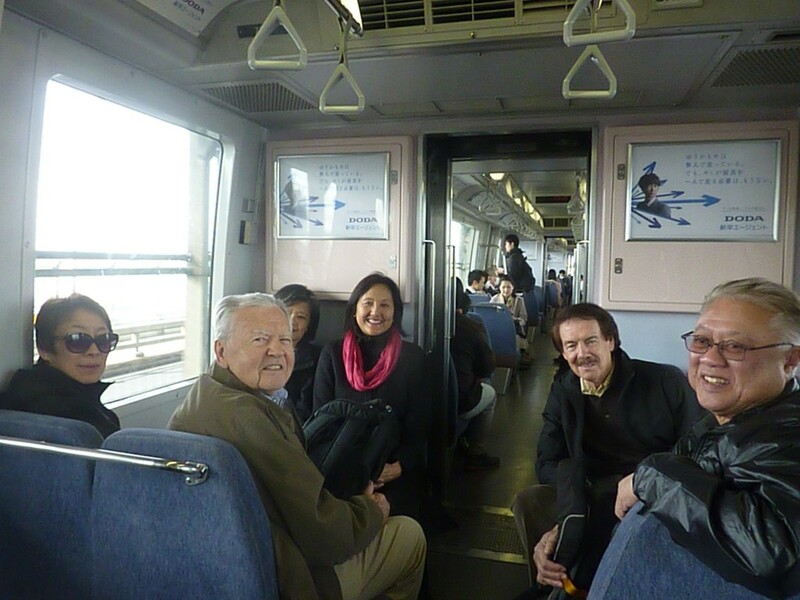 We went to the Arashiyama district by Sagano Romantic Train. It was a short ride but it was really fun riding on it. It would have been really beautiful if the cherry trees were in full bloom. 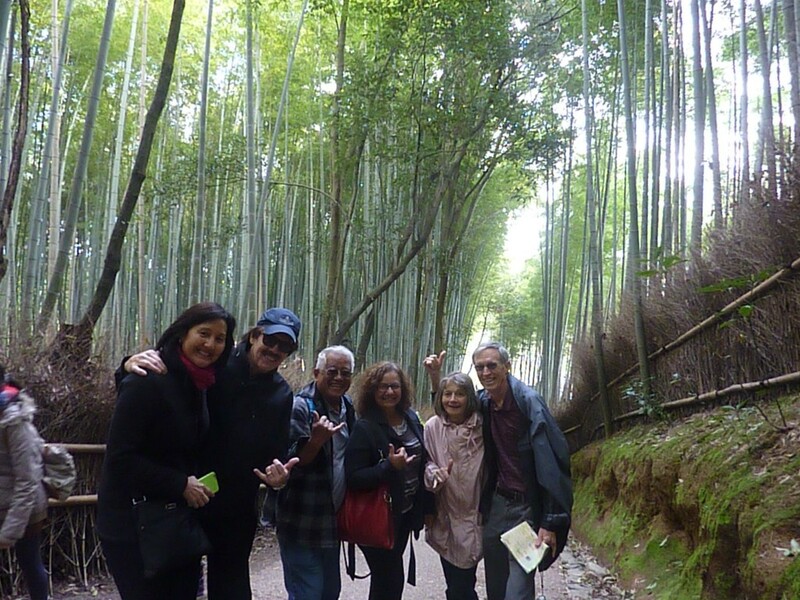 After the train ride, some of us went to see the famous bamboo forests almost all the way to the end and visited the Tenryuji Temple, another UNESCO World Heritage site. The garden was really nice with many different flowers blooming. 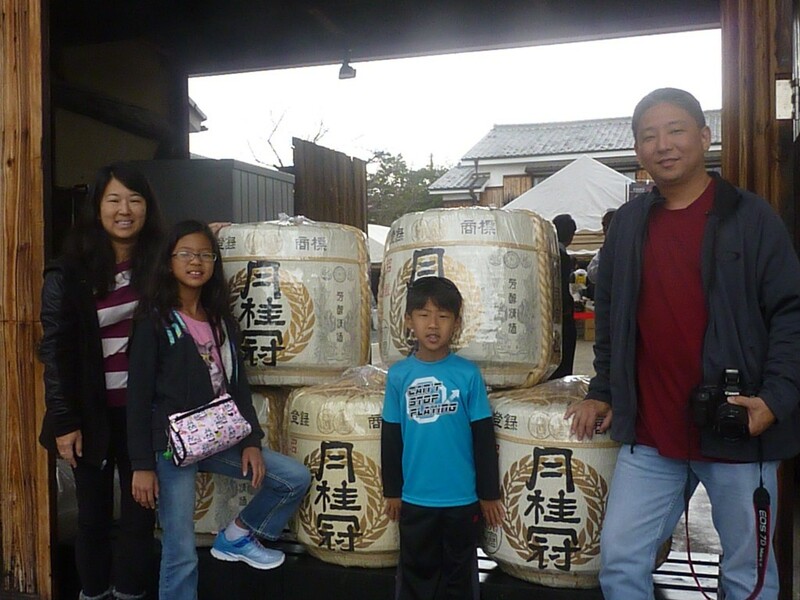 Arashiyama also had many places to eat and shop. 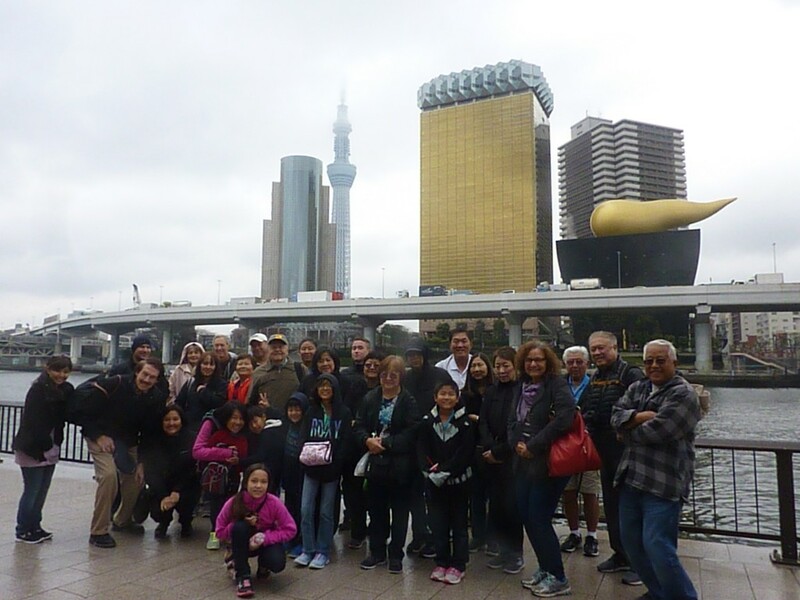 The next stop, the Golden Pavilion, was also packed with tourists, mainly the mainland Chinese. It contained the relics of Buddha. This was another World Heritage site. We had about an hour to stroll around it’s garden. 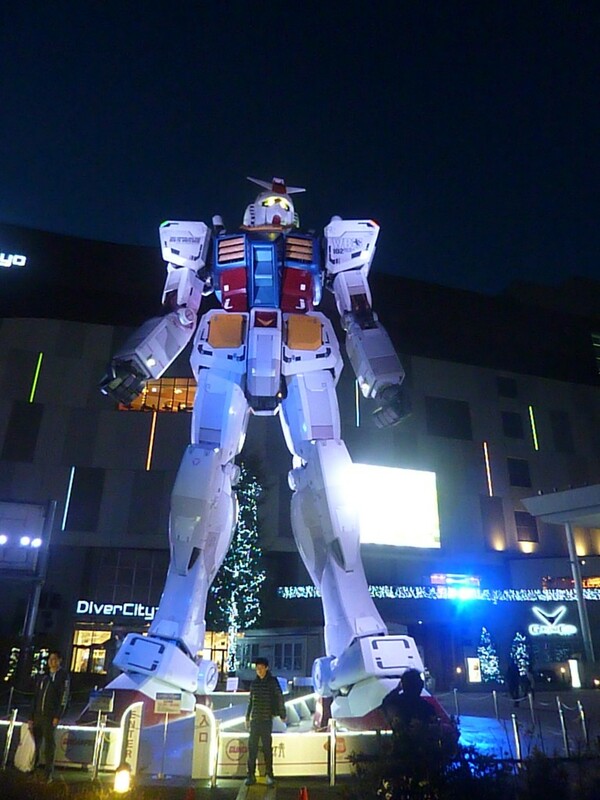 The last stop was at the Toei Kyoto Studio Park. There were several shows such as Ninjya show and Terakoya but it was very difficult to see them because there were such long lines to get in and/or no places to sit and enjoy the shows. 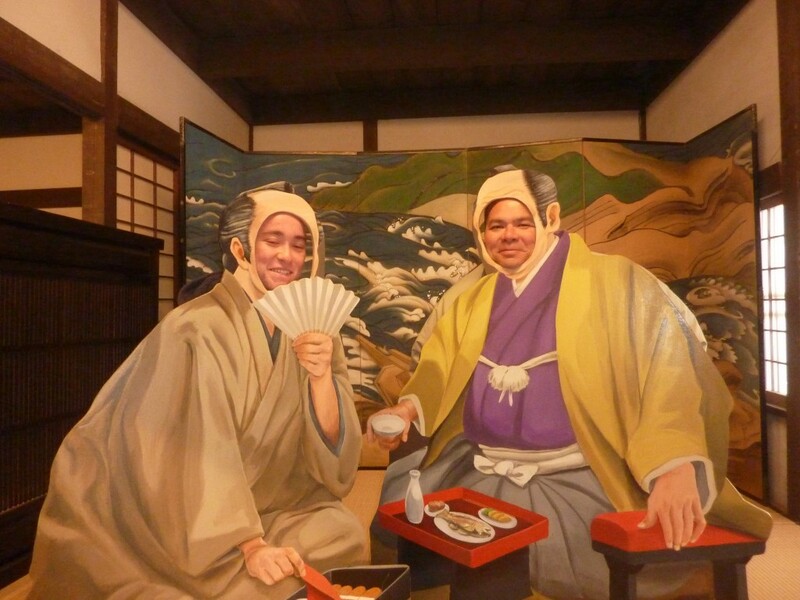 Many of us were just strolling the streets replicating the Edo period of Japan. 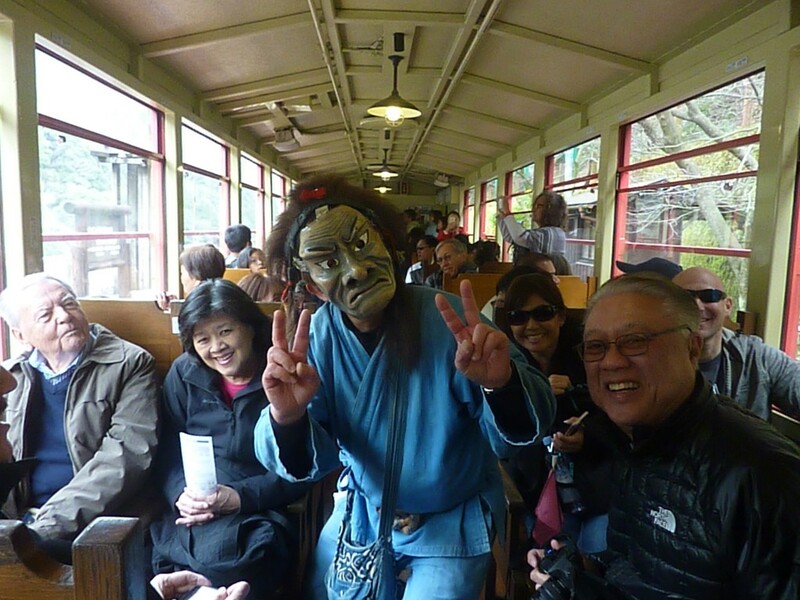 It was interesting to see that some tourists rented a full Japanese Edo era costume for a whole day and seemed to enjoy as if they were transported into Edo period. 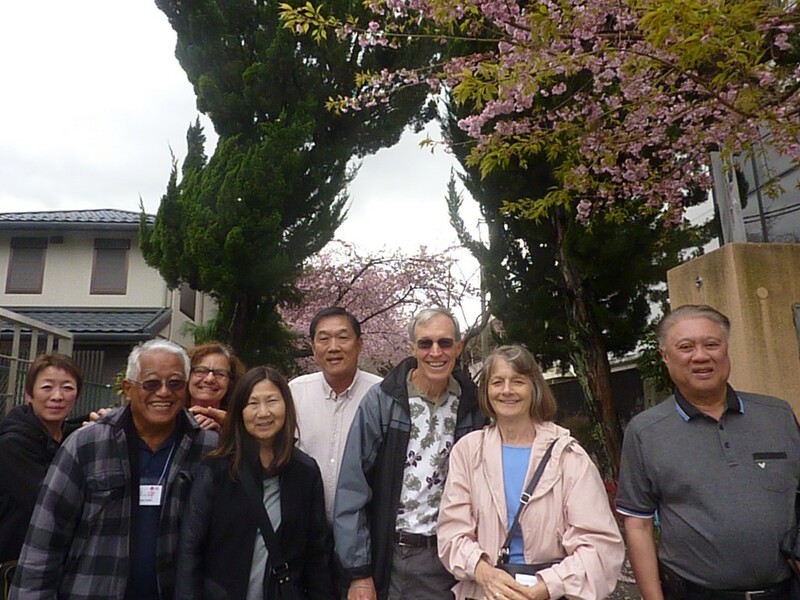 Older folks like us stayed indoor cafe to enjoy tasting Japanese sweets and drinks. Day 6: it was a beautiful day with blue sky. 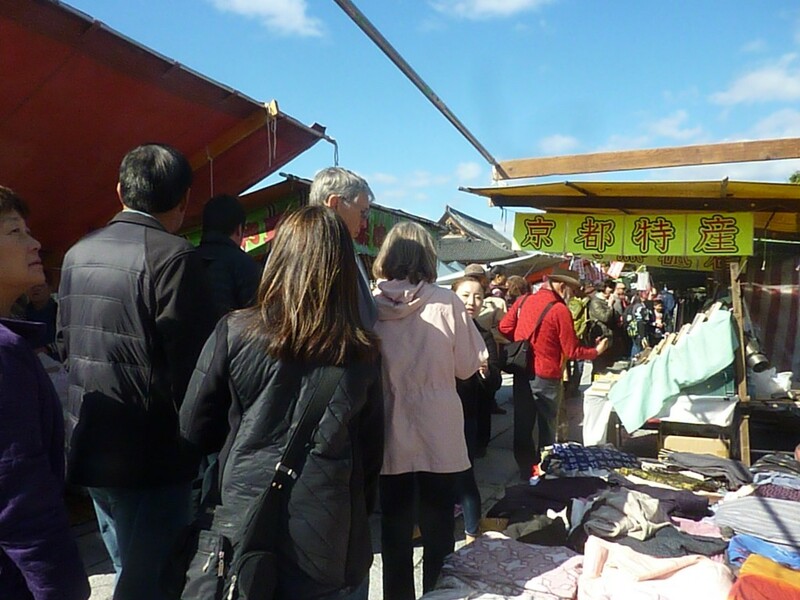 Before we left Kyoto for Hakone, we went to a flea market at Toji Temple. This was an once a month event where many antiques and local products were sold reasonably. 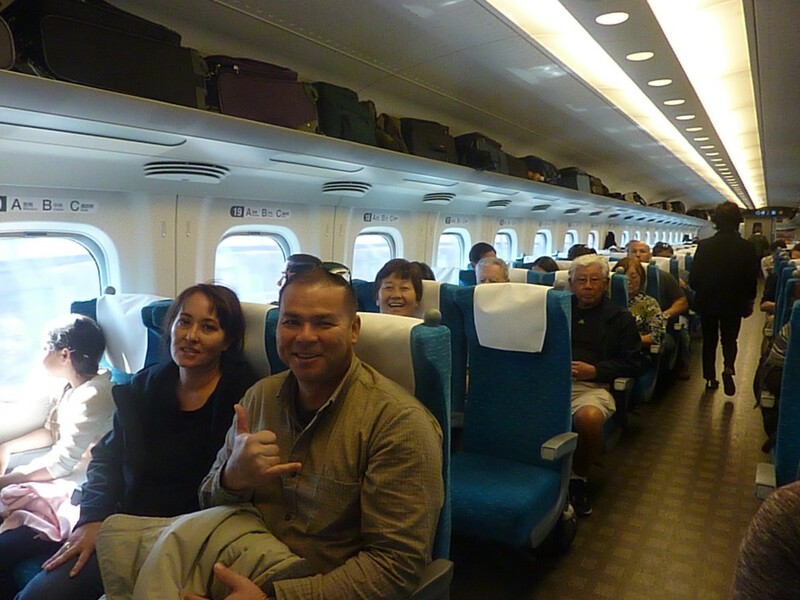 Many first timers to Japan were excited to ride the Shinkansen, a bullet train. 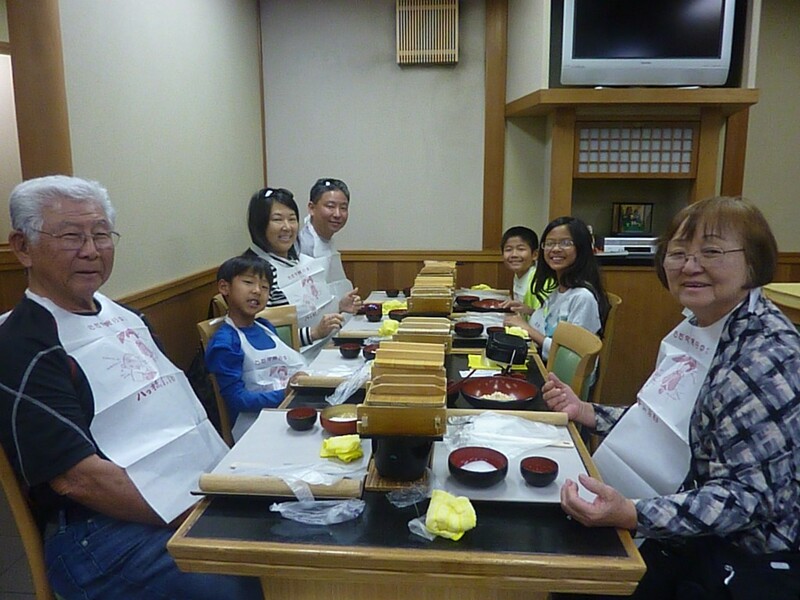 It only took us 2 hours to get to Mishima Station so we started eating lunch as soon as we got on the train. 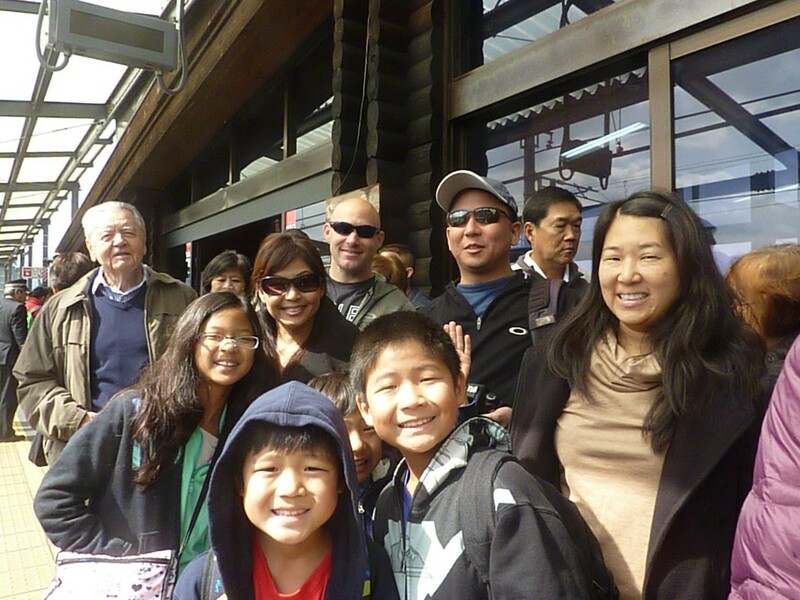 At Mishima Station, we were met by our new guide, Ms. Oka, from Tokyo. It seemed that she rather wanted us to call her by her last name. 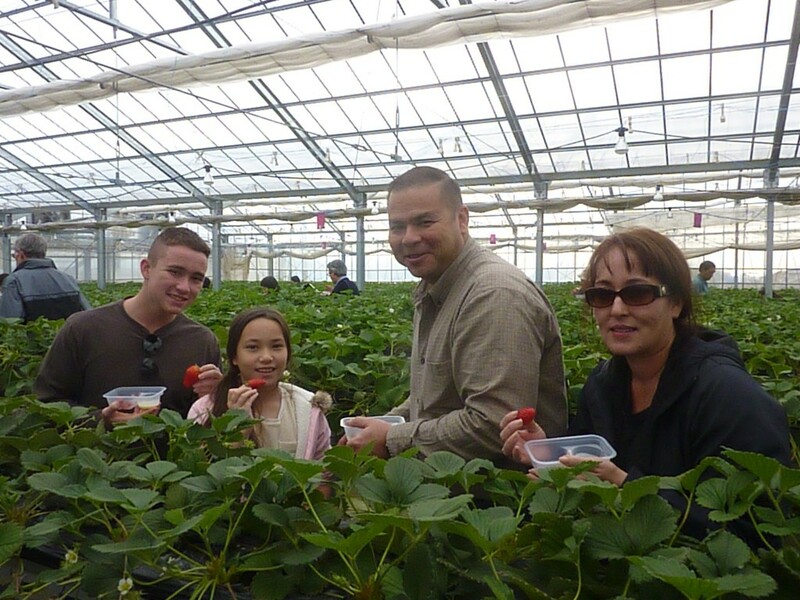 We visited Izu Fruits Park for strawberry picking. It was all we could eat so we all went for it! 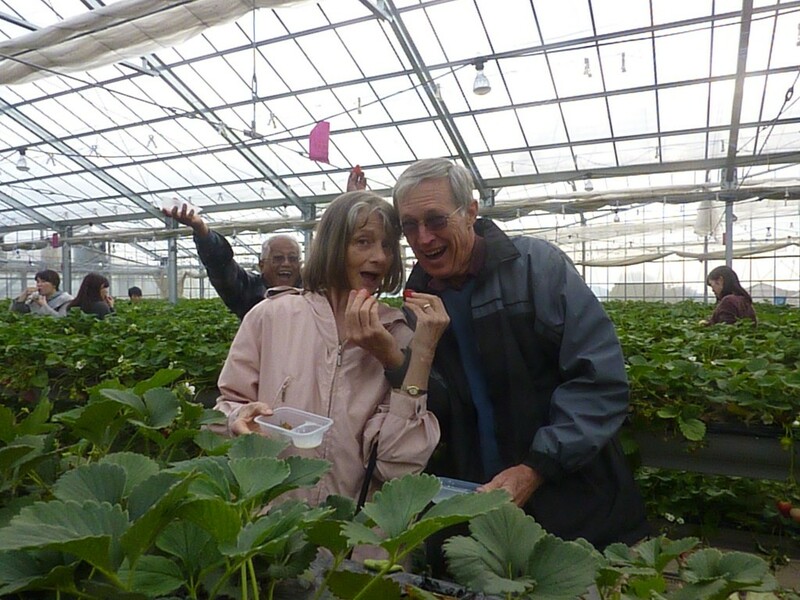 Some kids were saying that they ate 50 strawberries! On the way to our hotel, Hakone Kowakien Hotel, Ms. Oka explained how to use Japanese communal bath and how to wear Yokui, Japanese yukata. She was so funny explaining about it that everyone kept laughing about it. 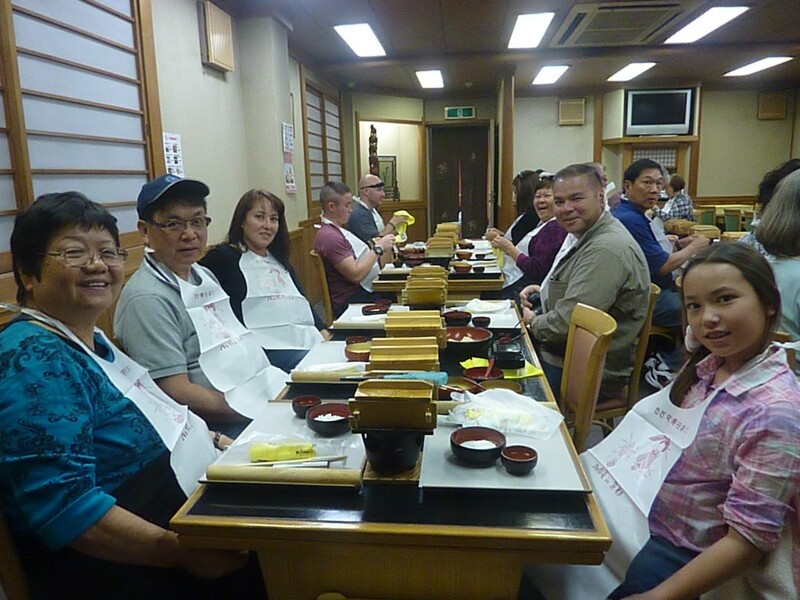 Day 7: It was so nice to know that some of the first timers to Japan had tried to bath in a Japanese communal bath. 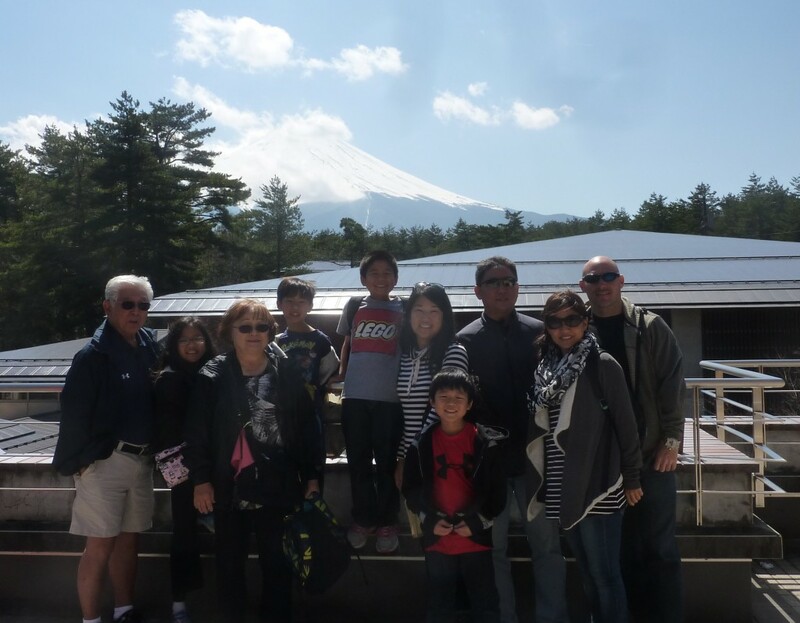 If you really want to experience Japanese culture, this is it! 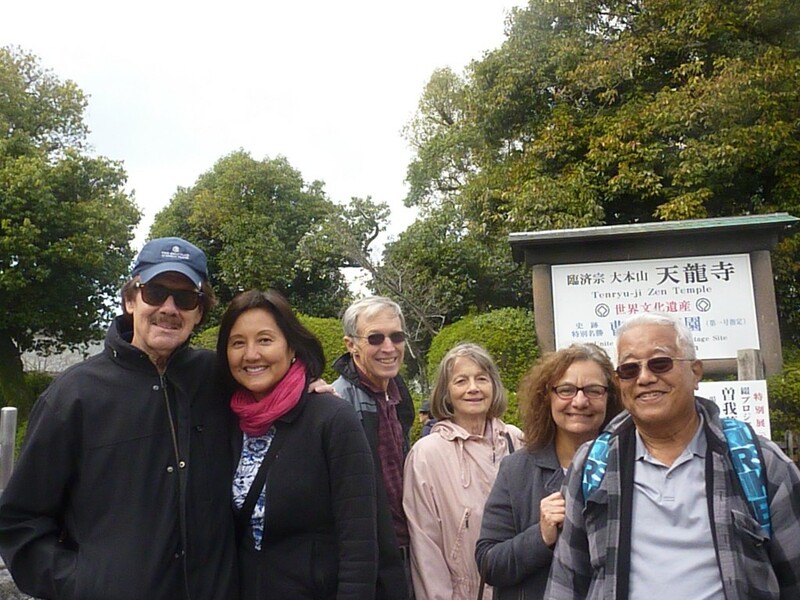 On the way to Mt Fiji Visitor Center, we briefly stopped at Lake Ashi Center. We could vaguely see the mid-section of Mt. Fuji. This raised our expectation that we might be able to see a clear view of Mt. 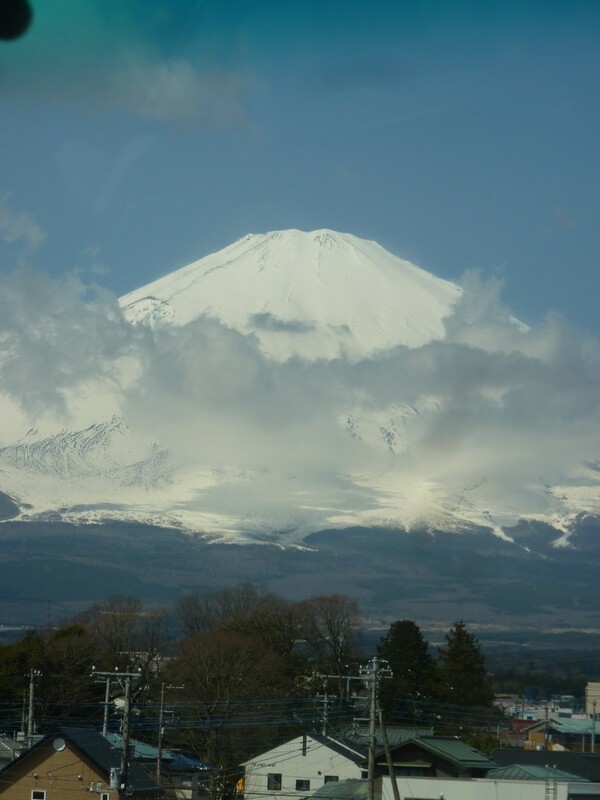 Fuji today. Indeed we could see it although it was a brief moment. 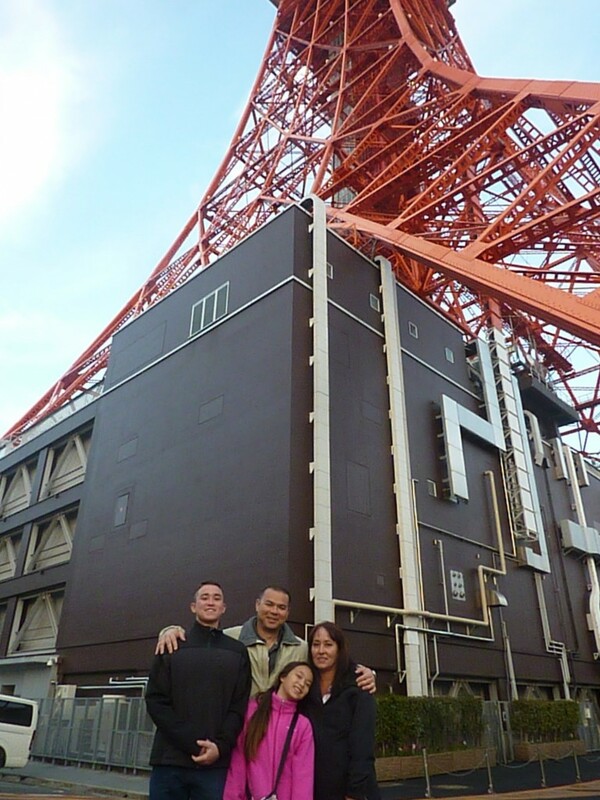 Someone said that this was the very first time that she could see a clear view after visiting Japan so many times. We were very lucky! Most of our group seemed to love shopping. 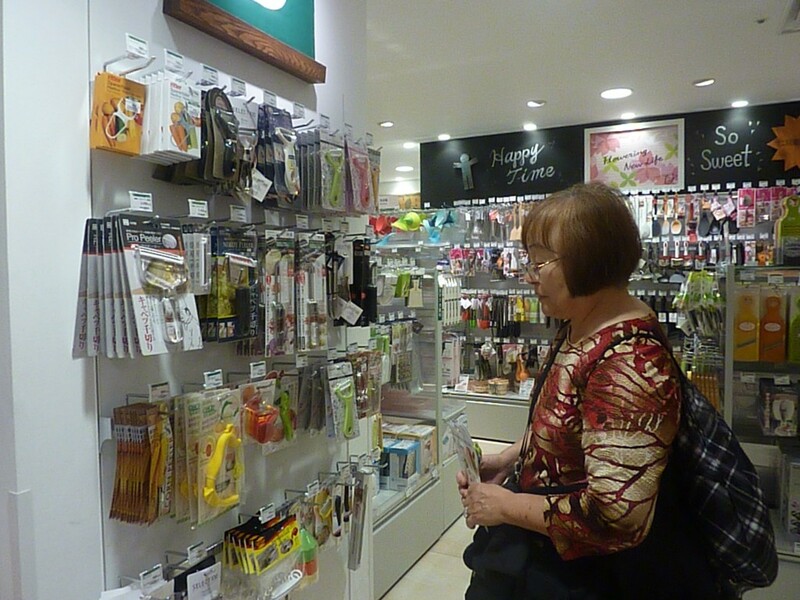 We stopped at Shinagawa Seaside AEON Mall before we arrived at our hotel, Grand Pacific Le Daiba, in Odaiba, Tokyo. It was a very nice hotel with many amenities and close to several big shopping malls. Everyone went on their own way to have dinner tonight. 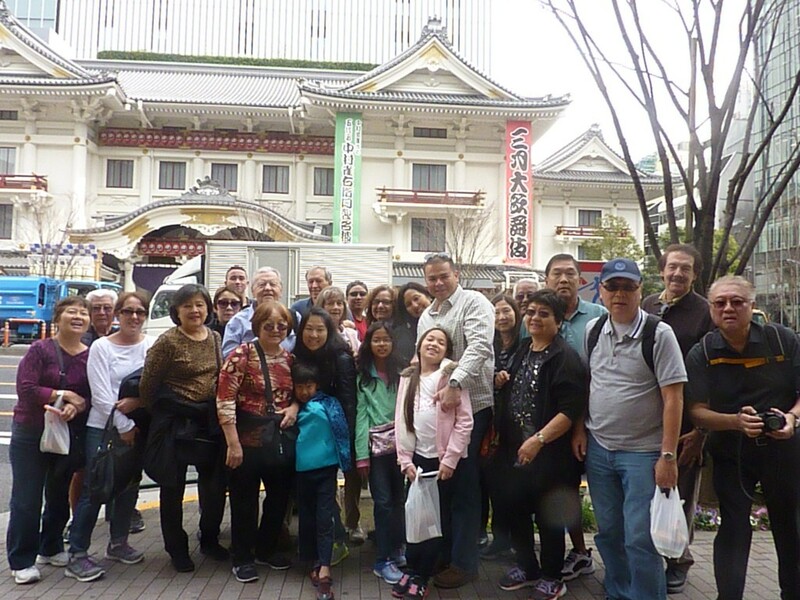 Day 8: Almost all of our group except 4 people joined the tour visiting Tsukiji Fish Market, famous Kabuki Theater, Mitsukoshi Department Store in Ginza, Character Street and Tokyu Hands at Tokyo Station and Sengakuji Temple using public transportation such as Yurikamome Line, Oedo Subway Line and JR Yamate Line. Everyone received $15 worth of Suika card from JTB. 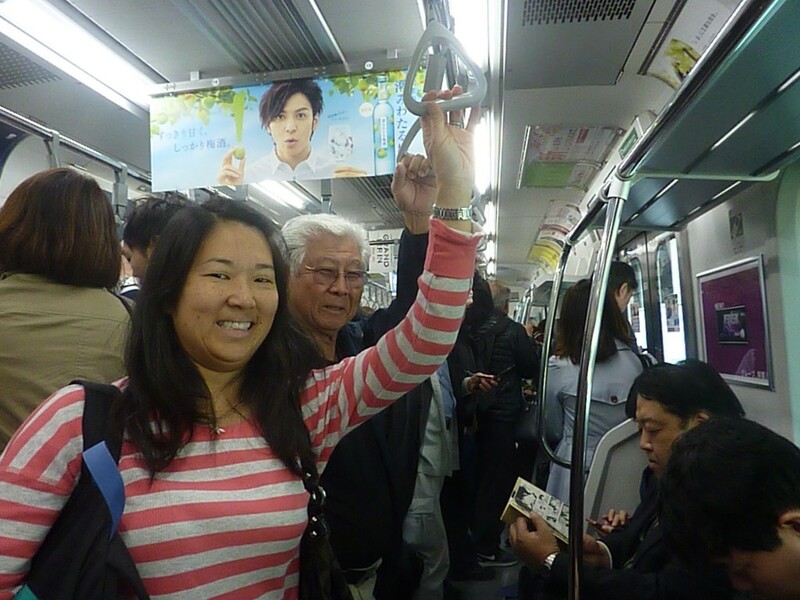 At the end of this tour, only 42 yen, less than 50 cents, remained in the card. The card is good for 10 years eve if you don’t use it so hope some of the group members will visit Japan again. It was another action packed day! Day 9: Time went by so fast! 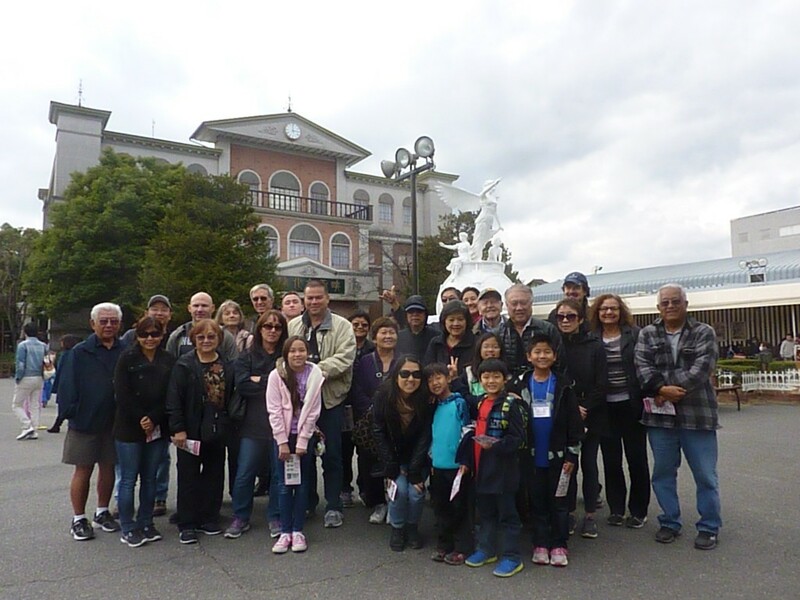 This was the last day of our tour. 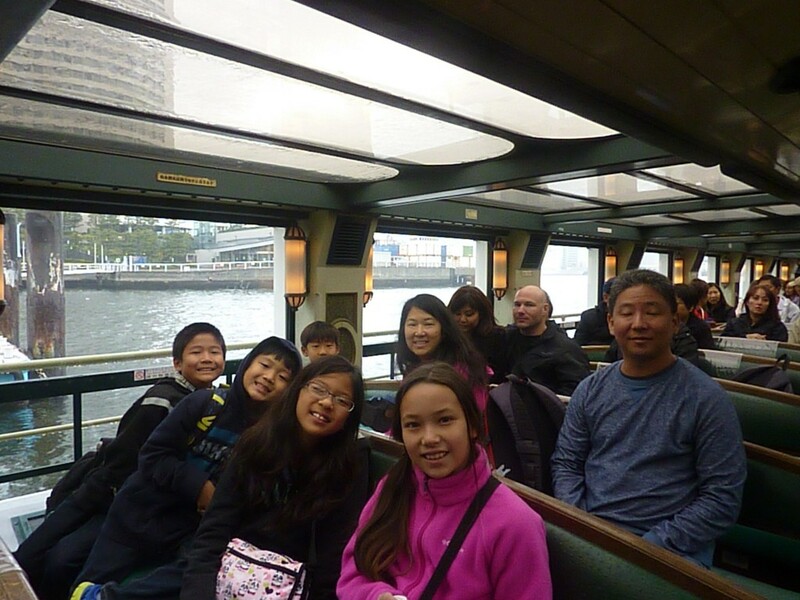 Unfortunately, it was very cold and drizzling in the morning while we were on the sightseeing Sumida River boat from Hinode Sanbashi to Asakusa. 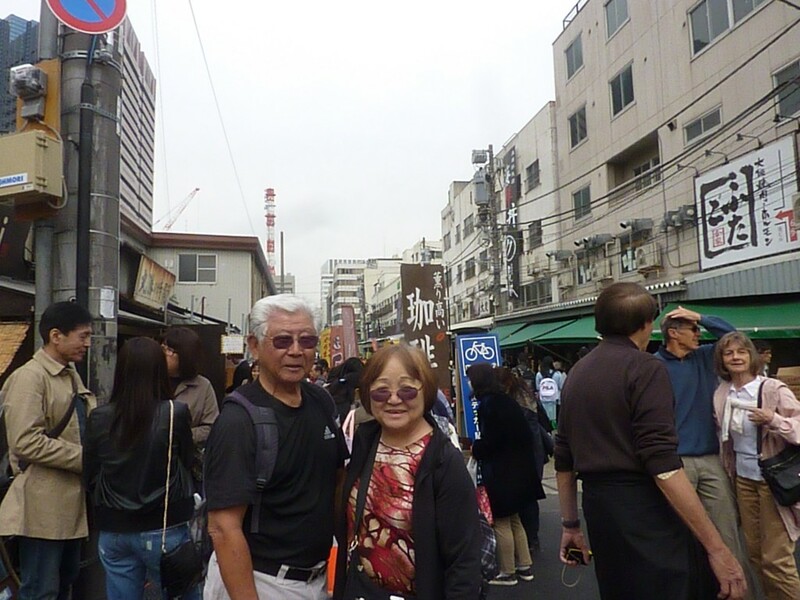 By the time we got to Asakusa, the weather got better so we could enjoy strolling the popular Nakamise Street on the way to Asakusa Kannon Temple. 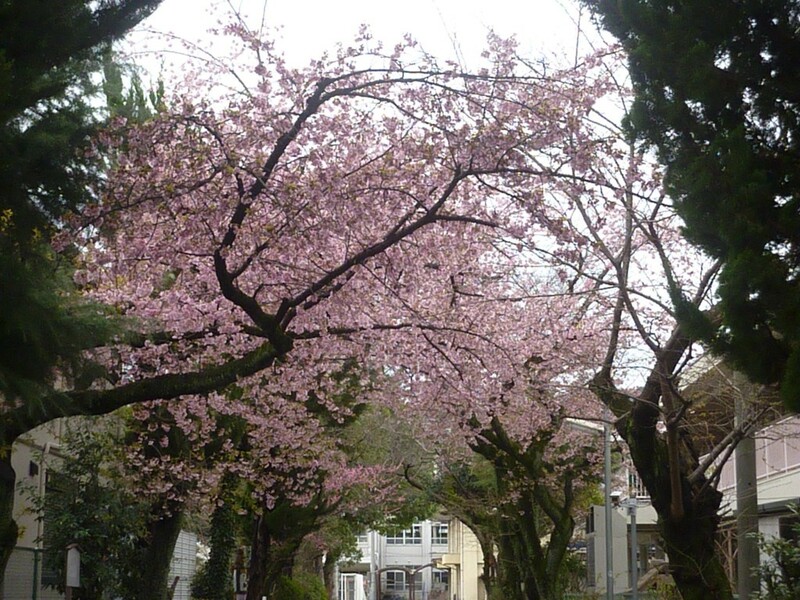 We expected to see more cherry blossoms in Tokyo but it was still too early to see the blossoms. 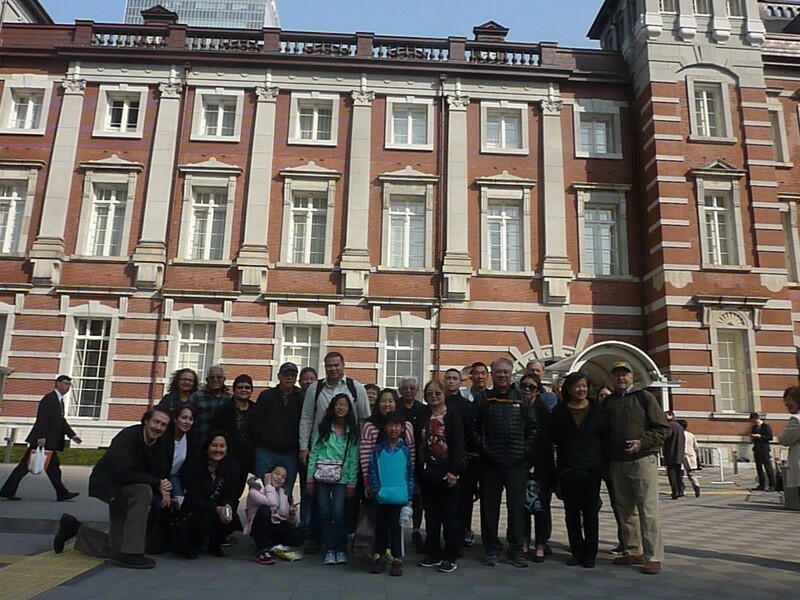 The driver was nice enough to show us the Imperial Palace and the Ginza Street on the way to our final destination of this tour, Tokyo Tower. 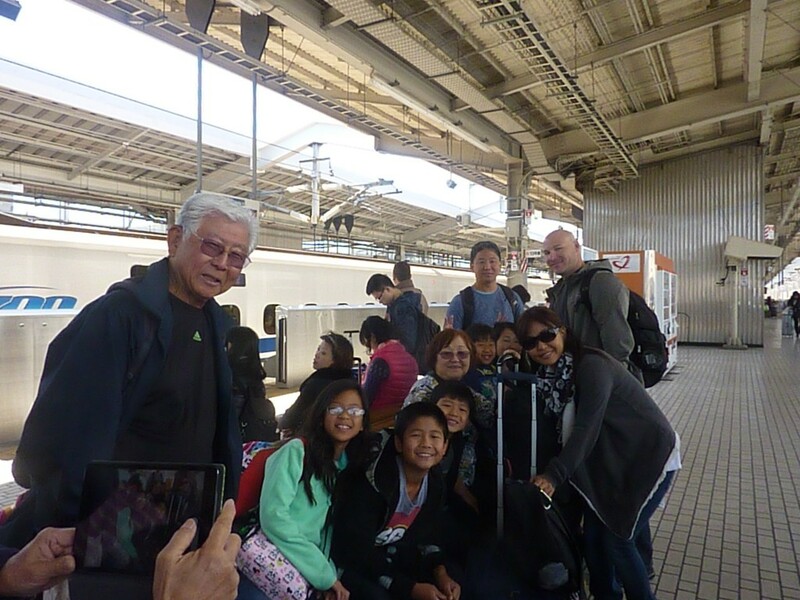 Everyone in the group had extended their stay in Tokyo so it was time to say farewell to each other. 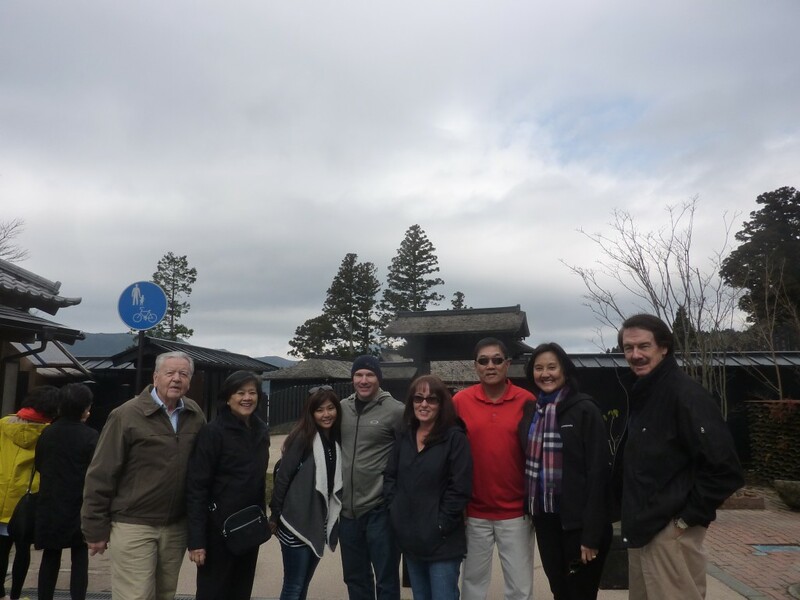 Hope everyone enjoyed this tour that provided the highlights of Japan to encourage people to visit Japan again!